Edward Teller was a Hungarian-born American nuclear physicist who was instrumental in the production of the first atomic bomb and the world’s first thermonuclear weapon, the hydrogen bomb. He is also known for his extraordinary contributions to nuclear and molecular physics, surface physics and spectroscopy (particularly the Jahn–Teller and Renner–Teller effects). Edward Teller was born in Budapest on January 15th 1908 into a rich Hungarian Jewish family. His mother was Ilona Deutsch, a pianist, and his father, Max Teller, was an attorney. He left Hungary in 1926 and moved to Germany. As a student in Munich he lost his right foot under a moving streetcar requiring him to wear a prosthetic foot and leaving him with a life-long limp. Teller graduated with a degree in chemical engineering at the Institute of Technology in Karlsruhe, Germany. He received his Ph.D. in particle chemistry from the University of Leipzig, Germany in 1930. After working for two years at the University of Gottingen, Teller left Germany in 1933 and moved to Copenhagen for a year working for Niels Bohr. In 1934 he married Augusta Maria) Harkanyi. They went on to have two children, Paul and Wendy. Teller moved to America in 1935 accepting the position of professor of physics at the George Washington University. His work here included predicting the Jahn-Teller Effect which distorts molecules in certain situations. He also contributed to surface physics and chemistry with the Brunauer–Emmett–Teller adsorption isotherm equation. Teller became a naturalized U.S. citizen in 1941 and became a part of the Manhattan Project during World War II, working on the first atomic bomb with J. Robert Oppenheimer. Teller was also interested creating a fusion weapon (hydrogen bomb) and pressed as hard as he could for its development. In 1946, Teller left Los Alamos to work at the University of Chicago, returning in 1950 when work on developing a hydrogen bomb was finally approved. Teller worked on the hydrogen bomb project, helping devise the Teller-Ulam two stage thermonuclear bomb design. The H-bomb was successfully tested in the Pacific in 1952. In 1952 Teller accepted the positon of professor of physics at the University of California, Berkeley, a position he kept until 1960. Teller also became associate director of the Lawrence Livermore National Laboratory from 1954 to 1958, and from 1960 to 1965, being the director for two years from 1958 to 1960. Teller was a recipient of the the Enrico Fermi Award, Albert Einstein Award, the National Medal of Science and the Harvey Prize from the Technion-Israel Institute. He was an active campaigner for civil defense from the 1950’s. Teller also worked as a senior research fellow at the Hoover Institute, where he studied the international and national policies of energy and defense. A few of the notable books he has written include “Conversations on the Dark Secrets of Physics Better a Shield Than a Sword”, “Pursuit of Simplicity” and “Energy from Heaven and Earth”. 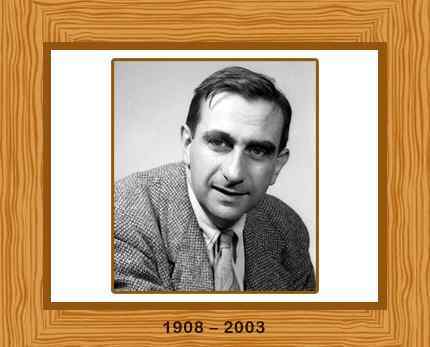 Edward Teller died in Stanford, California on September 9, 2003. He was 95 years old. The same year he was honored with the Presidential Medal of Freedom.